Talk to a Nurse. Make a Physician Appointment. 8 hospitals. 1 health system for every family. As a woman, you are the bedrock of your family and the one who is entrusted with their care. That is why our comprehensive network of hospitals, physician practices and urgent care centers, among other care facilities, is built to support you. We provide compassionate, high quality care to you and your family for all of your healthcare needs helping you and your loved ones become stronger every day. 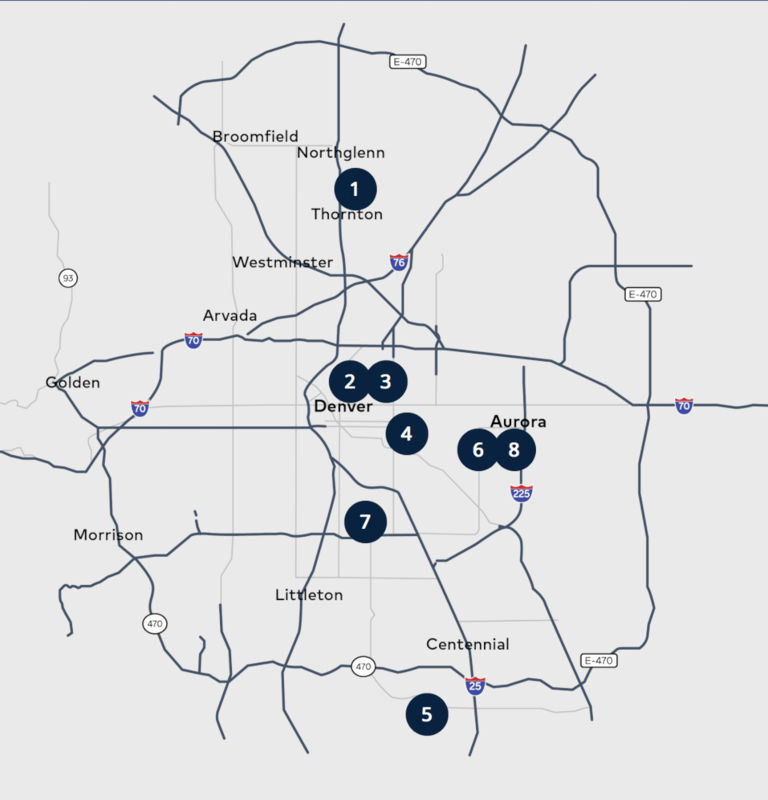 HealthONE has a longstanding reputation for expert care throughout the Denver metro. Whether your aging parent is in need of a hip replacement or your infant is suffering from persistent ear infections, we have board certified specialists available to care for all ages. We know how much strength it takes to take care of a family, which is why our system is designed with women in mind. Our care providers help meet the needs of the greatest care givers. Learn more about how our specialized services across OB, cancer and cardiac care keep you and your loved ones strong. We’re expanding your expectations for your birth experience by offering the personalized care you need to start a family, no matter your path to parenthood. From birth plans to treating infertility, we’re here to help you bring your vision of motherhood to life. There’s no stronger cancer fighting team than you and our Sarah Cannon nurse navigators. The Sarah Cannon Cancer Institute at HealthONE treats more cancer patients—facing all types of cancer—than anyone else across the region. In addition to providing expert cancer care, we have dedicated nurse navigators to support you throughout your journey from answering your questions to facilitating your care needs. You’re at the heart of your family, so we make the heart health of you and your loved ones our number one priority. Our cardiovascular specialists treat the heart using the most advanced clinical care and surgical technology. Cardiac care for you. And your loved ones. We believe that the best care starts with communication. That’s why we make it easier for you to get professional healthcare advice any time you need it. "Our dedicated HealthONE Strong line can address your healthcare concerns and make appointments for you.